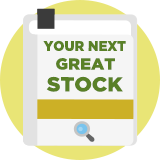 Value & Momentum is a strategy that aims to find undervalued stocks with positive price momentum. It is inspired by research by AQR Capital Management as well as the American Association of Individual Investors' "Value on the Move" screen and Jack Hough's "Impatient Value" screen in his book, Your Next Great Stock. The strategy combines value and momentum, which are two disciplines that have been found to work very effectively when combined. It looks for a reasonably low PEG, positive relative strength and a share price within 10% of its 52-week high in companies with sales of more than £100 million. Value and momentum not only provide strong returns but are also negatively correlated. That means that when when one strategy works well, the other lags - one zigs when the other zags. Over time, this helps to create a smoother profit line, as the volatility of each strategy cancels the other out.